If you have been following this blog, then you probably saw one of my Fig Tree product testimonies. Well, I have been relatively “healthy,” compared to the patients who have confided in me. As promised when I shared, My Fasting Journey & Nature’s Operating Table, I am writing more about The Fig Tree today. The Fig Tree products were developed, in the early 70’s, by Alfredo Bowman (aka Dr. Sebi) and his wife Maa, at the Usha Herbal Research Institute in Honduras. Dr. Sebi is a self-taught pathologist and herbalist whose nutritional beliefs are based on the theories of healers like Hippocrates, Galen and Arnold Ehret. He and Maa combined the teachings of their predecessors with the usage of herbs to create an intra-cellular healing system. They are known for their ability to assist people in the reversal of illnesses like cancer, sickle-cell anemia, leukemia, lupus, herpes and AIDS. For many years, Dr. Sebi travelled the world, giving lectures, while Maa produced the herbs. I heard my first testimony for The Fig Tree products from the parent of my sixth grade student. The doctors told her that her infant had a hole in her heart and there was nothing they could do to save her. Dr. Sebi gave her some herbs and told her to stop feeding her baby cow’s milk. That was it! Dr. Sebi and the mother went their separate ways. Twelve years later, I mentioned his name and she shared this story. The following weekend, I met Dr. Sebi at a lecture and took my first dose of the herbs. After his lecture, I mentioned my student’s testimony and he was gracious to learn that she had survived. I passionately expressed my desire to study the herbs in Honduras. Luckily, I met him when he was seeking a teacher to train for the formation of healing centers in the US. He arranged an interview with his potential business partner and the man financed my training in Honduras. Less than a month passed before I was sent back to New York because Dr. Sebi refused to sign his financier’s contract. As he drove me to the airport, Dr. Sebi assured me that they had plans for me to write his biography. However, I never heard from him again. I continued to purchase the products for an occasional cleanse. At some point, Dr. Sebi’s family became divided and the company along with it. His daughter, Usha, had an office in New York. Dr. Sebi stayed, in L.A., where he had developed a celebrity following. I met Maa when she moved to New York to replace Usha. After many meetings, Maa eventually asked me to cover her consultations, in her absence. While working at The Fig Tree, I advised patients from all over the world, who had everything from brain disorders like schizophrenia to “terminal illnesses” like cancer. Most of the clients reported improvements within the first two months. I will always remember my hospitalized patient with multiple sclerosis. When we first spoke, he was in pain and paralyzed on one side of his body. Within a few weeks, he called excited to tell me that he was walking and could reach for things. His call made my week! I only received a handful of testimonies for viruses. However, just to hear one was incredible. I had faith in the products but I was amazed when my first patient told me that he no longer had HIV. Still, I was equally astonished when one woman told me that her AIDS had not returned after five years. The rest of the virus testimonies came, second-hand, from referrals of folks who had been cured of herpes. I stopped working for The Fig Tree and now I am back to being a customer. I apologize, if I have given you the impression that these are miracle herbs. I have tried many other herbal products but The Fig Tree tops them all. The products are very powerful and I feel really lucky to have easy access to them. However, I doubt that there is any herb in existence which could cause this level of healing without a significant change in diet. Nervino: This was my number one favorite because it helped me deal with a pain in my ear area that a doctor diagnosed as Temporomandibular Joint Disorder (TMJ). In general, I like how relaxed it makes me feel. Brain Food: I love it because it works to remove mucus from the brain, eyes and nasal cavity. I can feel it massaging the brain. Fucus: I used to avoid this product because it is instrumental in weight loss and I never felt the need to lose anything. However, it significantly reduces pain in the body by removing dead cells. It helped to remove the pain I had from carpal tunnel. It is also a very essential product for cleansing and nourishing the body. Drink Electra: This versatile product contains essential minerals and helps to remove cancer, ulcers cholesterol and hypertension. It is also useful in the elimination of radiation and other chemicals from the body. Eva Salve: Here is another multifunctional product. It is a liniment for sore muscles and various skin issues. It is also edible and can be used internally for a sore throat or cough. Many people use it to moisturize their face. 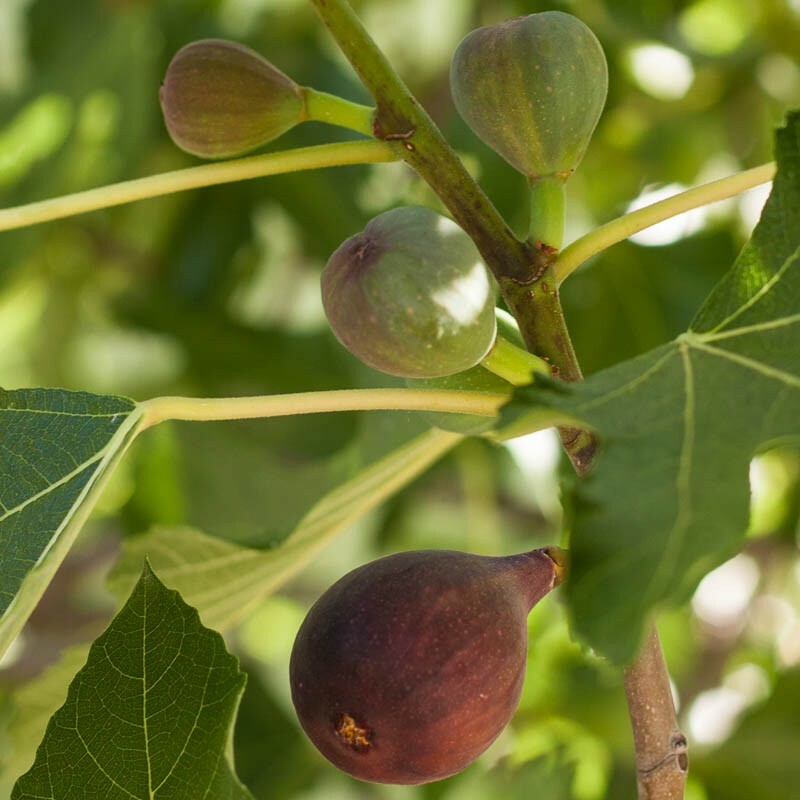 To learn more about The Fig Tree and their other products visit: http://www.thefigtreeonline.com/ or call (347)406-7243, (718)552-0569, or (800) 998-5909. This entry was posted in Health and tagged Alternative Healing, Arnold Ehret, Fig Tree, health, Herbal Healing, Honduras, Los Angeles, New York, TMJ by Michelle Crowe. Bookmark the permalink. Thank you for reading, Kavita:) Just to clarify, The Fig Tree is the name of an herbal healing company. I apologize for the delayed response. I wrote a couple of posts about fasting. If you enter fast in the search box on this site, you will find them. The best way to contact me is via email: mc@divinewiz.com. Do you have any recommendations for schizophrenia? Im having horrible family matters arise and I want to help but I don’t know what I can do. What type of herb would you recommend for Schizophrenia? Is there a medicine that Dr. Sebi used by any chance? Also Who would you recommend we make an appointment with? Herbal treatments address the whole body and not one particular ailment. Therefore, a consultation is required to determine the combination of herbs recommended for each individual. Me: For more info visit, http://divinewiz.com/consultations/ Note: I do not sell herbs. I recommend herbs for The Fig Tree or I can recommend alternative options. Wholeness and Healing Vibrations to you…. Thanks for this information. I love both of them The fig tree and dr. sebi’s products. I told my cousin that she needs to purchase a therapeutic package b/c the doctors are telling her that she has rheumatoid arthritis. I know that these products work but people don’t believe you unless it is coming from a physician. I am happy to help, Moe:) Best wishes…. Hi there. Which of the Fig Tree herb compounds would you suggest for someone with ear pain (possibly nerve damage) and nerve discomfort in the feet resulting from injury? Thanks for visiting. There are herbs that deal specifically with the ears and/or pain but the entire body needs to be clean in order for them to work properly. I would advise the person to begin with a consultation so that the issue is handled holistically. It is always a good idea to have someone access your health history before you start taking health products. A consultation is required in order to purchase those compounds, anyway. I only know what clients have told me. Just to clarify, it’s the clients that healed themselves by following a strict diet and faithfully taking the herbs. I have recently began taking Dr. Sebi’s therapeutic packages for HIV. I am currently on my second one. Does your products cure HIV as well? I saw that you stated the clients cured themselves using the compounds. Have they actually been cured? I’m not second guessing you or doubting your products. I just need a push of hope in the right direction. Something tangible because your office is closer to me than Dr. Sebi’s. Thank you for your visit. I do not have products. The products which I have referred to in the post are from The Fig Tree. As you may have already read. I had received testimony from their former HIV clients. I am certain that Dr. Sebi’s products are great. However, if you would like more info on The Fig Tree, call their office: 800-998-5909. In my experience, you have to follow a strict diet while taking the herbs. Hopefully, someone in Dr. Sebi’s office has created a plan for you. Hi, I’m ready to order products, however, I don’t know whether to use the Fig Tree or Dr Sebi’s website. His are definitely more expensive. I was comparing the BIO I & II to his small cleansing package. Wondering if they are the same herbs?? I called the Fig Tree for a consultation with Maa and it cost $115 for one hour. Then she follows up with you for 30 minute sessions (not sure of the cost for those). I wish she had a free consultation or donation account. I need these supplements but I don’t have $500. Nevertheless, I’m in great pain in my ear and neck. I’m dizzy, I can’t hear sometimes. I keep praying God will lead me to healing. Thanks for your blog. Do you still order from the Fig Tree? The Fig Tree products have always been comparable to Dr. Sebi’s products, as they were by his design. However, he recently developed a new line, due to his ex-employee’s fraudulent activity. Hopefully, you found the correct website. Yes, I still order products from The Fig Tree. If you have any other questions, feel free to contact me: mc@divinewiz.com. I hope that you become free of pain soon. Dr. Sebi’s diet is a step in the right direction from a standard American diet or a vegetarian diet. It looks like your website promotes the “Paleo” diet which not even totally vegan. The list, that Dr. Sebi provides, has foods that he has deemed “less detrimental.” It’s like switching from menthol to natural tobacco cigarettes. If you really want an “electrical” diet, I recommend avoiding the nuts, seeds, legumes & grains, etc. that you have in your recipes. If you listen to Dr. Sebi carefully, you will hear that they are all acidic. I have to say that I spend thousandths dollars for herbs, doctors, natural healers, ajurweda and I m just exhausted of failure. I would like know why I should give fig tree herbs last shot and how they can helps with my OCD, depression, schizophreny, anxiety disorder. Im vegan for last two years mostly RAW diet couple of £ days fasts. Your frustration is very common. The journey is long, to heal the body. I hope you will continue trying. I would need to do a consultation and learn your health history before I could convince you of anything. A raw diet is a great option. There are a few items that I have seen in some raw diets, like salt and nuts, that should be avoided for optimal healing. The Fig Tree Herbs will help to remove old acid and calcified mucus from the body and the rest is up to you. Thank you for visiting. I would be happy to help you. TMJ was the most painful ailment that I’ve ever experienced. Each situation is unique and we would first need to determine which plan will work best for you. Feel free to reach to me via email mc@divinewiz to schedule your consultation. The name is the same, if you order it from The Fig Tree. The new name for Dr. Sebi’s product is Bromide Plus. I would like to know where I could get a consultation. Feel free to contact me via email: mc@divinewiz.com. The bio 1 and bio2 from the fig tree..does dr sebi use them now and what are they called? As you have probably learned. Dr. Sebi’s product line has changed significantly. While some products are comparable to his older products, I don’t believe he has anything exactly like bio 1 and 2. I just got some products from the fig tree what is DBT? I believe it’s a compound for diabetes clients. I suggest you check with The Fig Tree to be certain. Hi Michel. I am pregnant with anemia. Every time It get lower. Doc is about to give me a iron transfusion wish I think will be horrible for my baby. I started drinking maya 2 days ago. But I am really concern that any of this natural plants could damage the development of my Baby. Do u know if someone else in my case have take it before? Maya is really good for you and there have been many clients who have taken Maya. Some have been pregnant. All have reported positive results. Your body will assimilate the natural iron much faster than the synthetics in the hospital. I hope this helps to answer your question. Hi, Does the Fig Tree have a cure for HIV? Have Dr. Sebi’s herbs been compromised? I want to order but they are 350 dollars a month and I don’t know if they work. Can you help me? Does The Fig Tree have anything to cure HIV? As far as I know, The Fig Tree is still open. I saw Maa a month ago at the Dr. Sebi Tribute and it was still open. I just called her and her voicemail indicates that the office is still open. The main line is 800-998-5909. Someone may also be taking calls at 305-252-1800. I believe the hours are 12-6pm ET M-F, I’m not sure about the hours on Saturday. I have spoken to two Fig Tree clients who told me that they no longer have AIDS. There were also referrals from people who claimed to be cured of Herpes and AIDS. I agree with you that Dr. Sebi’s products seem to be more expensive than The Fig Tree. Before Dr. Sebi died, I purchased the tooth powder and the eye wash. I don’t think they were the same as his original formula from 10 years ago and they didn’t seem to be beneficial. I hope to speak with his daughter in Honduras to find out if she is still in control of the products. In the meantime, I cannot recommend them. Also no one has been answering her phone for three days now. Is she still in business? Maa. The Fig Tree. It looks like you were misinformed. The length of time for improvement depends on other health factors but rarely happens in 3 days. By now, you spoken with Maa. Yes I am in touch with her. I have also received testimony from her clients. Hopefully, she can help you become whole again. Hello are you still doing consultations? Copyright © 2019 divinewiz. All Rights Reserved.